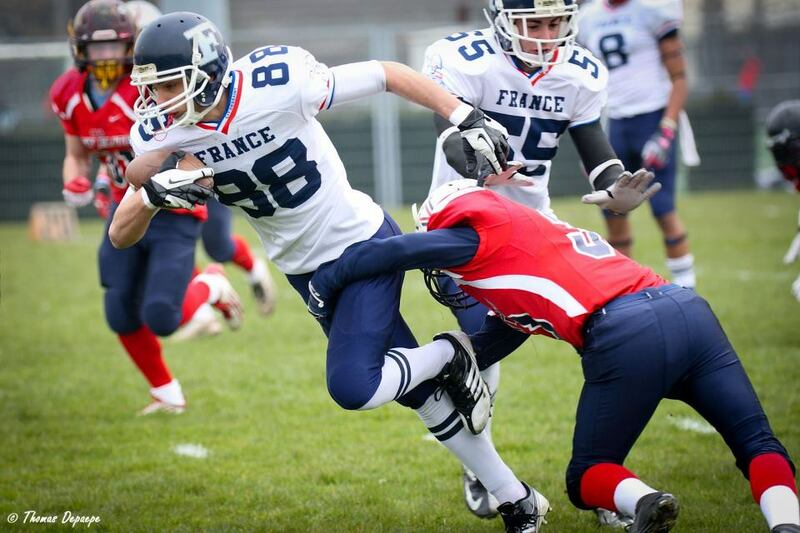 How would you describe the evolution of American football in France? There is good and bad stuff. The sport is improving regarding its geographical coverage, the number of clubs, members, the variety of the offer (more youth teams, more flag football, more cheerleading, women's teams...), the media coverage (thanks to the internet mostly). On the other hand, the Elite challenge is not going forward, and competitions suffers federal negligence in their organisation. What is working? On what levels? What is working, it's the clubs and the initiatives taken on every level. Clubs are created everywhere, and they use everything to get heard, to recruit, organize tournaments, events.. Volunteers, on a local basis, do an amazing job. It is a sport for passionate people, and you can feel that. There are efforts to be made concerning refereeing, coaching, and fields, but the progress is striking over the last seasons. The strength of American football in France is the passion and growing number of club managers. What's wrong? On what levels? What's wrong is the coordination among all this. There is a real gap between the federation, and clubs. Often also between local leagues, and clubs. Leagues are grotesque, with insane decisions being taken. Rules are totally out of step, and sometimes can not even be applied. The hard work out in by some clubs can go to waste because of a simple stupid decision taken by the authorities, highest or local ones. In the federation, too many people think only about themselves, when they are not completely incompetent. The last administrative general meeting was a disaster in my opinion. The renewal on the current team will slow down the progress of organising our sport. In consequence, some managers are quitting, many people give up because of that. This lack of communication and trust between the "base" and federal direction is what is responsible for the wreck spotted during Pôle espoir in Amiens this year. We reached a point where people who see the FFFA logo would just run away and try to find alternative ways. The cream of the crop try to flee to North America, while others start their own little organisations, praying the FFFA will not come mess up with it. How did the federation grew from 4.000 members in 1998, 12.000 in 2004, 15.000 in 2007, 20.000 in 2010 and 22.000 nowadays? Is there any explanation for that? Why the constant growth? The level in 1998 was already very low, it resulted in a decline following the retirement of the first wave of US football, who stopped without working on the future, the training, youth teams.. Since our sport has been rebuilt from scratch, on stronger basis, with efforts on every sides to bring new people, train them, help them learn and love the sport. Finally, what is missing for US football to take off to yet another scale in France? 1. An exemplary, clear direction and federal policy that would allow to renew the trust between clubs and the federation. Right now, there is nobody at the wheel, the management is done on a day to day basis. 2. Better media coverage. There was a lot of progress in that area, but it remains sparse. We all know that TV broadcast is what makes or breaks everything. The Elite championship must find a way to get there, and so must international competitions. We all saw the impact of France Televisions talking about US football in France during the broadcast of the Superbowl. I thought Oliver hit the nail on the head with the lack of coordination between local clubs and the federation, but this is not just a french issue it´s a European issue, I have coached in Europe going on 5 years and I can tell you I have coached in 3 EU contries and they all share the same problems. There must be a meeting with all heads of the federation and come up with a real solution, or the growth of American football will suffer and take even longer to get to it´s destiny. I hope we can change this and make American football a much better organization in which media and private buinsesses can take more serious.